History was made when Pakatan Harapan (PH) won GE14 with a simple majority of the parliamentary seats (113 seats). Thus, this win had caused the long-reigned Barisan Nasional (BN) to step down after they had experienced one of the greatest loss in Malaysian general election history. Therefore, to further investigate this historical event, the Malay Mail’s team had done a comprehensive study on the momentous win of PH and the great fall of BN. Meaning: They did the Math for GE14. Their reports revealed that BN recorded one of the lowest votes amongst all of their election performances. They have only won 1/3 of the votes which had caused them to lose their power for the FIRST TIME in 61 years. 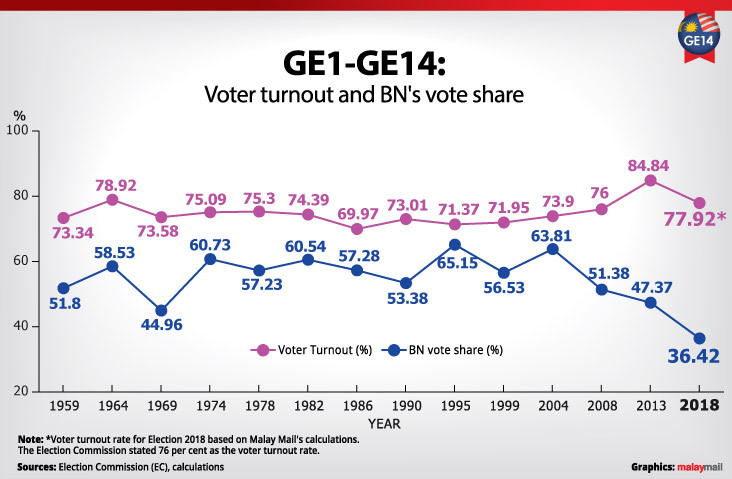 Hence, according to the Malay Mail’s study, here’s how BN recorded the lowest votes yet! Out of the 11,642,437 voters this GE14, BN had managed to only get the votes of 4.24 million people (36.42 percent). Meanwhile, PH managed to win 5.51 million votes (47.33 percent) thus making them the victor of the GE14. Parti Warisan Sabah (PH’s alliance) won 257,091 votes (2.21 percent); if combined with PH’s votes the vote share would be 49.87 percent. With that said, there are many reasons for BN’s terrible loss thence to explore the reasons behind BN’s loss and PH’s win, Malay Mail had decided to get some experts’ insights on the matter. Principal advisor of Pacific Research Centre, Oh Ei Sun noted that the anti-BN sentiments had definitely impacted the number of votes. 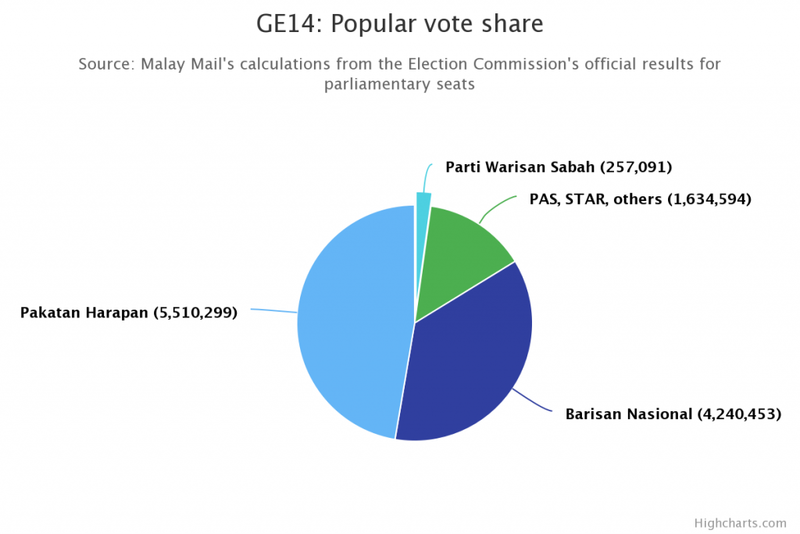 He also said that the 11 percent difference in the vote share of both parties (PH and BN) was far more significant compared to GE13. FYI, the difference was only about three to four percent in GE13. “36 per cent probably lowest BN has received, testifying to popular distaste against it after more than half a century of increasingly corrupt rule,” he told Malay Mail. Fun Fact: The only time BN got the lowest vote share was in the 1969 Election but they still won by 44.96 percent of votes, shared Malay Mail. CEO of research house Ilham Centre, Hisommudin Bakar said that BN’s loss reflected the internal protest within UMNO itself. “Umno members protested by voting for the opposition,” he told Malay Mail. 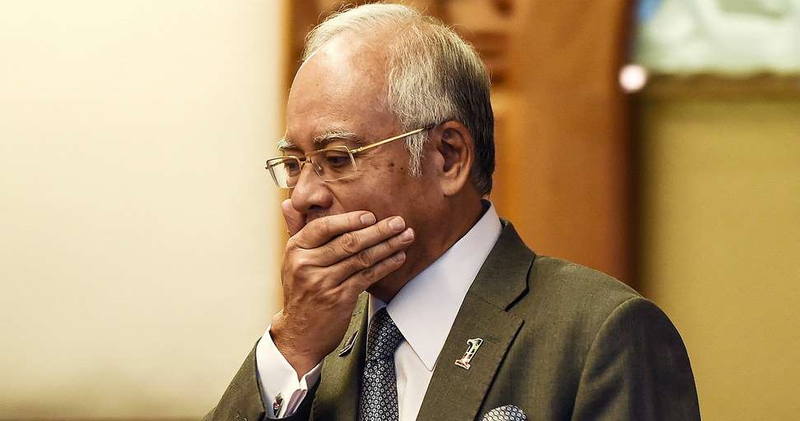 When Umno president, Datuk Seri Najib Razak, openly insulted Tun Mahathir by calling him an “old man” and a “93-year-old old man”, it didn’t sit well with the members of Umno thus it led them to cast “sympathy votes” for Tun M.
“It’s a big mistake, a serious mistake because the Malays pantang (are against) insulting the elderly or insulting teachers. Tun Mahathir is like a mentor to Umno, however big his mistake, don’t insult openly,” he explained. Hence, all of this had led to BN only winning 79 parliamentary seats against PH’s 113 seats, which eight seats are from the alliance between PH and Warisan, and one from the endorsed candidate Prabakaran. Hisommudin said that our constant complaints on economic issues like living costs, the Goods and Services Tax (GST), lack of job opportunities, a weakened ringgit and stagnant minimum wages had also caused BN to lose a majority of the parliamentary seats. He explained that “the failure to effectively tackle these concerns” was the reason for their loss. Hisommudin further added that our seventh prime minister’s “brilliant political marketing strategy” and rallies were also one of the reasons BN lost. He explained that Tun M’s genius political marketing strategy through social media helped PH win the vote of the people. 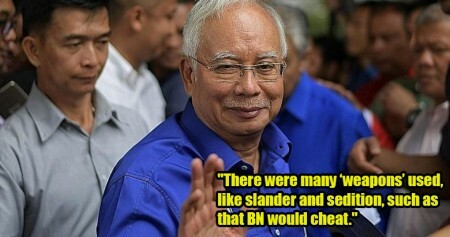 Not only that, he also told Malay Mail that PH’s rallies which were joined by 10,000 to 20,000 Malaysians had “successfully convinced fence-sitters to vote for PH”. “With the rallies and social media, Facebook live (broadcasts), it became a phenomenon and finally the phenomenon translated into votes,” he said. Nonetheless, he agreed that the anti-BN sentiment was a much “stronger factor than the pro-Pakatan push”. 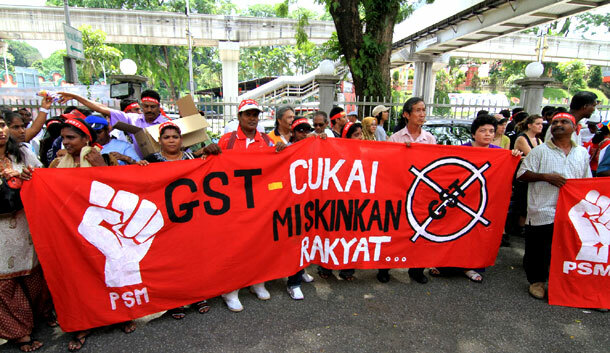 GST was certainly one of the major factors of the switch of government this GE14, reported FMT. Former Domestic Trade, Cooperatives and Consumerism Minister, Hamzah Zainudin said that PH wants to abolish GST hence they managed to get popular votes. However, he cautioned the people that there will be a “short of RM44 billion annual revenue from GST” if it’s abolished. “And if that happens, how can they give certain things to the people?” he said adding that it will not be easy for PH to carry out the works of abolishing GST. 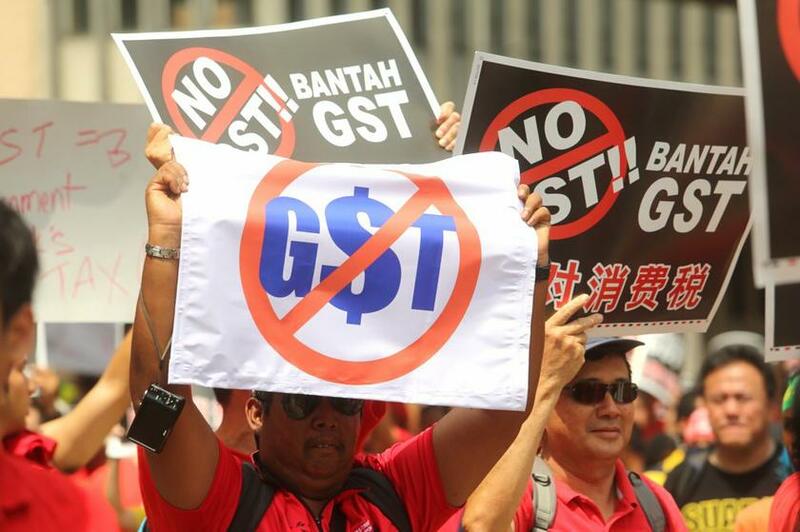 Nevertheless, despite the warning of consequences abolishing GST, it’s widely believed that it had also been one of the contributing factors to the fall of BN. All in all, GE14 was definitely one of the most historical general election and the insights given by the experts about the election were very informative. With that said, we hope that current ruling government, Pakatan Harapan, will fulfil their duties truthfully and the previous ruling government, Barisan Nasional, to learn from their mistakes and better themselves. 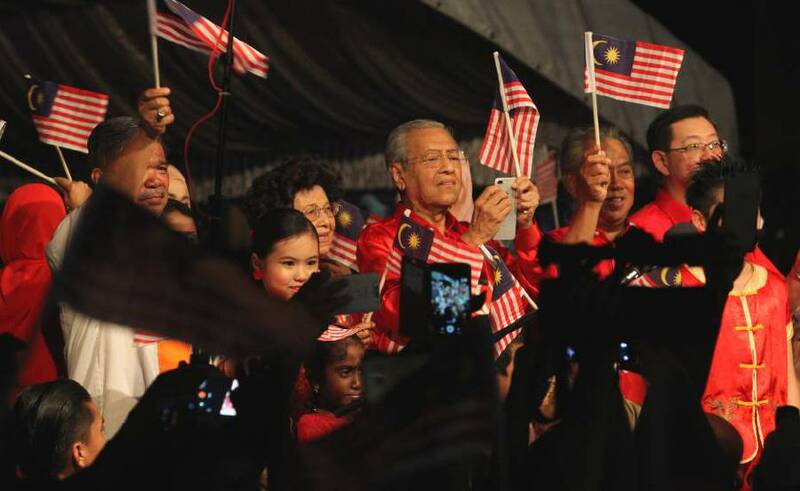 Cheers to a new Malaysia!